Consider making a donation to fund this weeks food needs. Are you a hero? We think so. 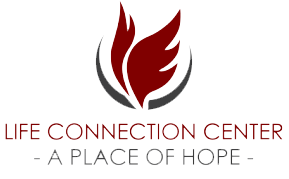 I am writing to you today to share with you a unique Sponsorship opportunity at Life Connection Center, busy local community center. This week we are launching our “Lowell Heroes Club - Business Partnership Program”. Many organizations seek funding for onetime events, road races, a specific gala or celebrations. We have come to learn that this gives limited support to our favorite local businesses and health care providers. Life Connection Center wants to support locally owned businesses year round. Through our large network of donors, volunteers and clients, your business could be brought to a broad community of customers. Please take a minute and review our new program. We would love for your business to join us as a Lowell Hero! If you are already a partner - thank you! ​Join the "Lowell Heroes Club"
Business featured on 5000 printed placemats that will be used at Life Connection Center Events, including our community meal with over 100 people in attendance three times a week, community volunteers and donor volunteers. Business advertised on outdoor banner on busy street with over 14,000 per day car count. Business advertised on organization website which receives over 800 unique visitors per week. Business advertised on Facebook Ads which has a reach of over 500 Lowell area people.